A comprehensive asset allocation and portfolio optimization solution used by the world’s leading institutions and financial services firms. Whether you work with asset class-level optimization or product-level construction, Allocator is a robust analytical tool that provides greater insight into portfolio dynamics. With Allocator, you can construct custom portfolios, create asset allocations, analyze efficient portfolios along frontiers, and project future portfolio values leveraging one or more of several quantitative models. The Allocator module also includes benchmark tracking capabilities for users who want to optimize their portfolios relative to a benchmark or implement an allocation across funds. Run multiple portfolio optimization models, including MVO, Black-Litterman, CVaR, downside risk and mean-benchmark tracking. View the Efficient Frontier from almost any statistical perspective. Create robust, stress-tested portfolios with MPI’s patented resampling model, Calibrated Frontiers, while simultaneously viewing multiple other frontiers. 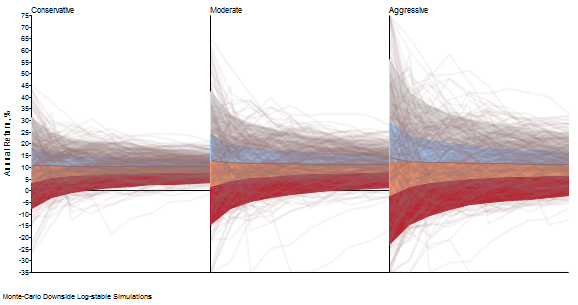 Conduct forward-looking and historical performance simulations. 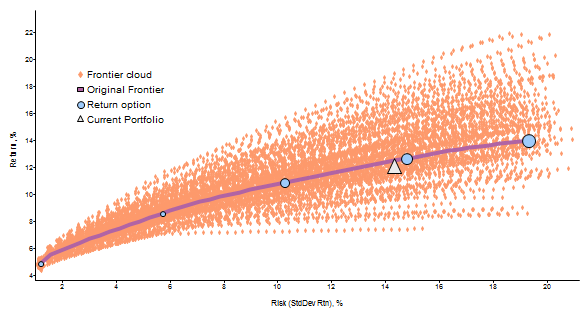 Run Monte-Carlo simulations or probabilistic forecasting of wealth and returns. Optimize on any user-defined objective, including expected return, alpha, yield, fees, custom fund ratings among other factors. Incorporate realistic considerations, like transaction costs, while exponentially weighting the covariance matrix. Create your own custom analytics and access our patented resampling technique to automate scenario-based stress testing on your portfolio.